That’s a wrap — for BlogPaws 2012 in SLC, the 4th BlogPaws Pet Blogging and Social Media Conference! 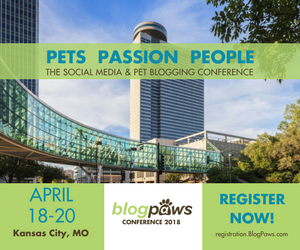 We’ll be working hard over the next few months to bring you another outstanding slate of speakers and topics at BlogPaws 2013, back at the beautifully remodeled Sheraton Premiere in Tysons Corner, VA (suggestions are welcome; hurricanes and earthquakes … NOT!). Natural disaster did not hinder BlogPaws 2012! No earthquake, no hurricane and no volacano, as Tom promised there would be – unless you count our ice sculpture on Thursday evening! Nope. BlogPaws 2012 went off without a hitch and we can’t believe it’s over already. While we get busy working on BlogPaws 2013, we invite you to share your posts and/or pictures from BlogPaws 2012 in the list below. We added some that we found, but we know there are many, many more out there. Don’t forget to check out the official pictures from BlogPaws 2012. A big THANKS to our great photographer Rebecka, who has given her permission for use of her photos as long as you credit her and link back to her Facebook page. We will keep this linky list open through the end of July. Share away!